Elastic Cuffs, Zip Closure, One Button Closure, Anti-Slips Outsole. Can keep your shoes clean when you wear in rainy day. Perfect for protecting shoes from rain water, mud splatters. Folding design for convenient carrying. 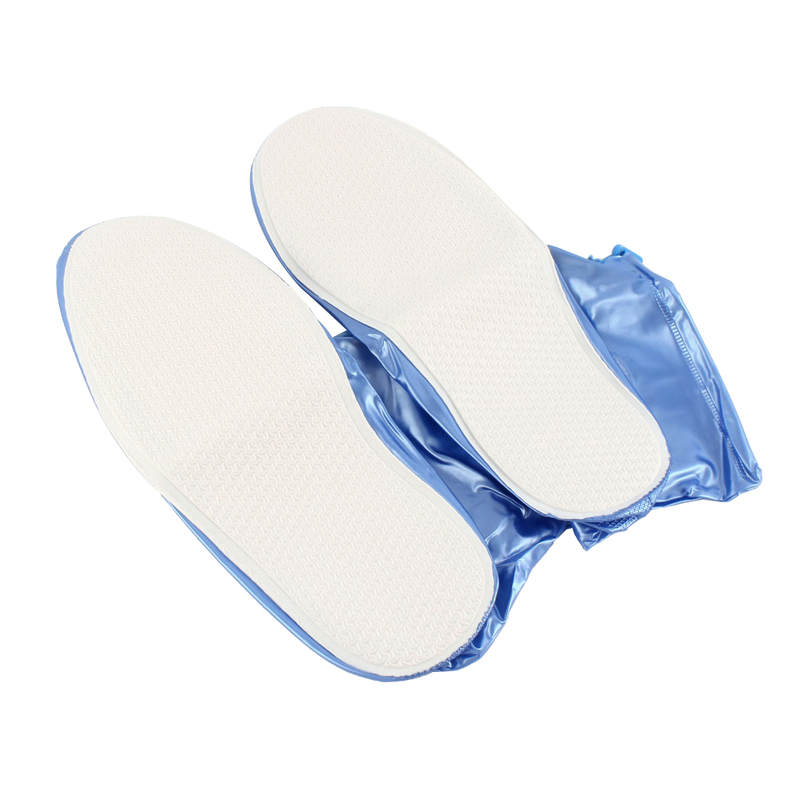 Widely applications: protect shoes from mud spattered, rain, snow; pefectly suitable for people have to go out in rain/snow days and outdoor activities such as camping, hiking,etc; especially suitable for winter, keep your shoes dry and warm all day. Fashion and adjustable design: fashionable sport style; Wide mouth design; easy to put on and off; Good elasticity of the surrouding on the top; easy for you to adjust to the degree of tightness. Portable Foldable and Reusable: every pair of shoes cover comes with a waterproof package bag, you can easily put them in your bag after use.